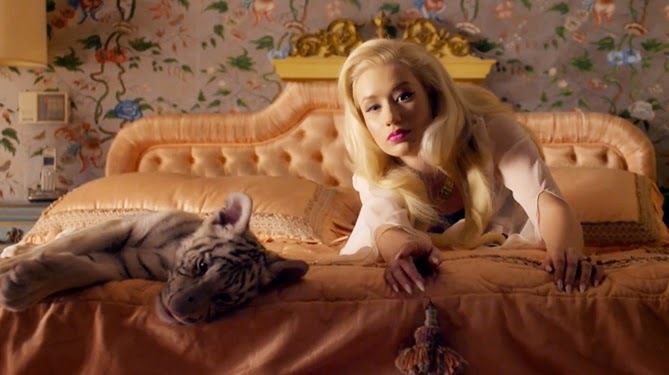 Iggy Azalea and The Other Famous Immigrants that America Loves. The immigration debate in America appears to have been re-ignited by the recent import of children in South America to immigrant camps near the border. Immigration had seemed to die down after the 2008 recession that sent many immigrants of the Bush era packing. However, back then, many Americans were vehemently against immigrants. Asked to describe one, they would describe someone from Mexico. Never would they argue to deport William Shatner, or Michael J. Fox. Think Shania Twain is from the south, think again. Hell, half the cast from Walking Dead are foreigners, and if you haven't figured it out yet, House, isn't an American doctor in real life (our crappy health-care system doesn't have doctors that good). They're all immigrants: Jack Bauer, Christ, James Cameron, Trinity from the Matrix, yep, you guessed it.... all despicable fence jumpers here to raise your taxes and live off food-stamps. Who ever asked them to come here anyways? Aren't they just stealing REAL American's jobs? However let's stop with this line of thought, and jump to another. Take for instance a young girl named Amy born in New South Wales, who lived in the house that her father built of bricks of mud. At 14 years old, she pretended to be a rapper from the group T.L.C., and hung out with her friends, pretending to rap. No one took her serious, and people told her that, obviously, a white girl from Australia can't be a black rapper like she aimed to be. People teased her, and eventually she dropped out of high-school. Cleaning hotel rooms, she scraped together enough for a tiny holiday in the U.S. - A few weeks Stateside, and she called her mother to tell her that she wasn't coming home. Of course, a white woman with an Australian accent is likely going to do better in American than a dark-skinned guy named Jesus who picks strawberries for a living and eats tacos, and she did. Despite every odd against her (except being a stereotype immigrant), living illegally in the U.S., and many people telling her that she had no talent, she become successful and famous around the world. This is that girl today: Iggy Azalea. It's a story that's important to remember, especially the next time they tell you you're too white to do what you love. Do it anyways. If you win, you get a tiger on your bed.